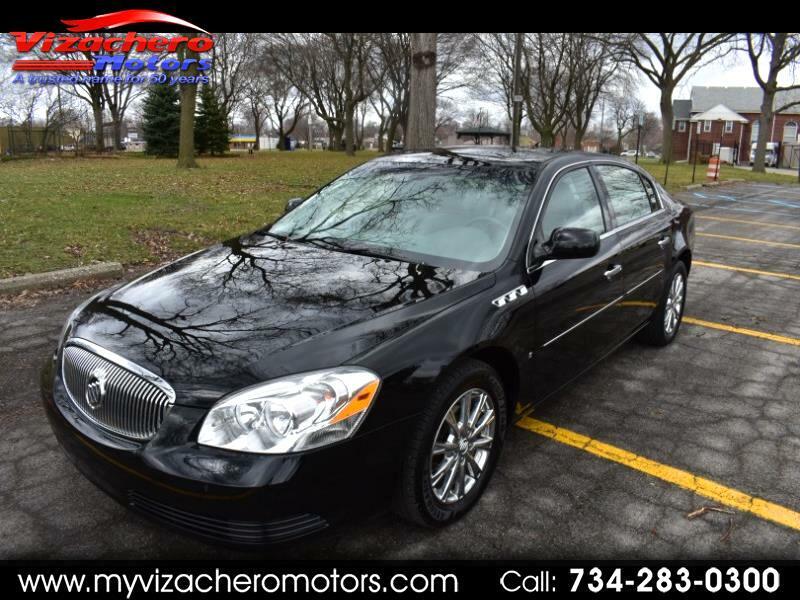 BEAUTIFUL... LIKE NEW BUICK LUCERNE CXL - BLACK EXTERIOR FINISH WITH A GORGEOUS GRAY LEATHER INTERIOR - MINT CONDITION INSIDE & OUT - RUNS AND DRIVES LIKE NEW - RUNS AND DRIVES LIKE A BUICK SHOULD !! - LOADED UP NICELY - GRAY LEATHER INTERIOR - CHROME WHEELS - POWER SEATS - HEATED SEATS - MEMORY SEATS - POWER MOON ROOF - INTERIOR WOOD GRAIN - AM FM CD STEREO - DUAL AIR & HEAT - CLEAN CARFAX REPORT - A REALLY NICE CAR !! - PLEASE CALL OR STOP IN FOR A CLOSER LOOK AND A TEST DRIVE - GREAT CAR !! - AN ALL ORIGINAL BEAUTY ! - - WE ALSO OFFER GUARANTEED CREDIT APPROVAL FOR ALL!!! - PLEASE BUY WITH CONFIDENCE...OVER 58 YEARS OF AUTOMOTIVE SALES AND SERVICE ...OVER 6000 VEHICLES SOLD !! - HOPE TO SEE YOU SOON !!! !